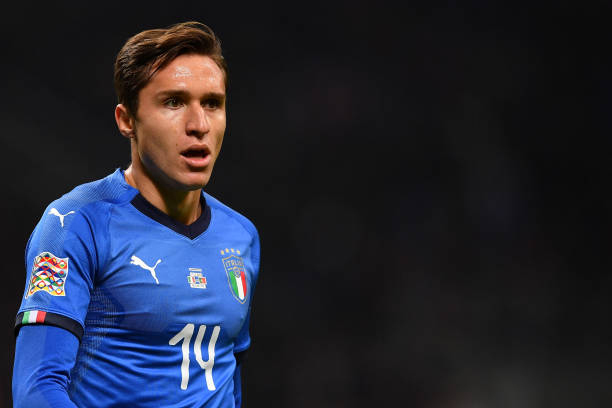 Federico Chiesa is an Italian professional footballer who plays for the Italy national football team. He primarily plays as a winger, but can also be deployed as a forward or an attacking midfielder. Chiesa began his youth career with U.S. Settignanese from Settignano, (a frazione northeast of Florence).He joined Fiorentina in 2007. Initially a member of their Giovanili side, Chiesa was assigned to the under-19 squad for the 2014–15 season, and scored a single goal in seven appearances for their Primavera side. The following season, he made 23 appearances and scored seven goals. Chiesa signed his first professional contract with Fiorentina in February 2016. He made his professional competitive debut for Fiorentina in a 2–1 away defeat against Juventus, during the opening fixture of the 2016–17 Serie A season. Fiorentina manager Paulo Sousa opted to replace him at half-time with loan signing Cristian Tello. 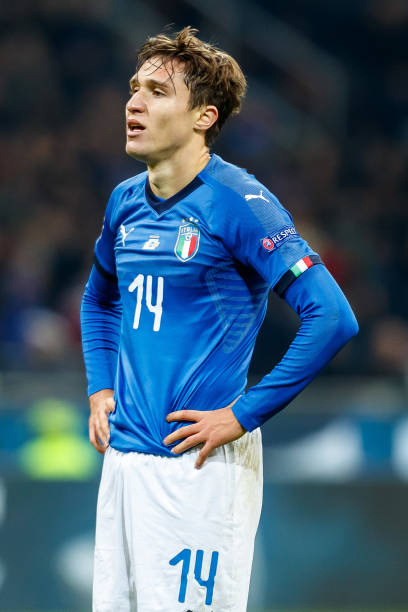 Chiesa was first called-up to the Italy U19 squad back in 2015. He along with fellow Fiorentina teammate Simone Minelli were selected as part of Paolo Vanoli’s preliminary 27-man squad for the 2016 UEFA Euro Under-19 Championship in Germany. Chiesa played for Italy U19s in friendlies against the Czech Republic, Spain and France. In 2016, he received a call-up from Italy U20s’ Alberigo Evani to represent the side at the 2015–16 Under-20 Four Nations Tournament. 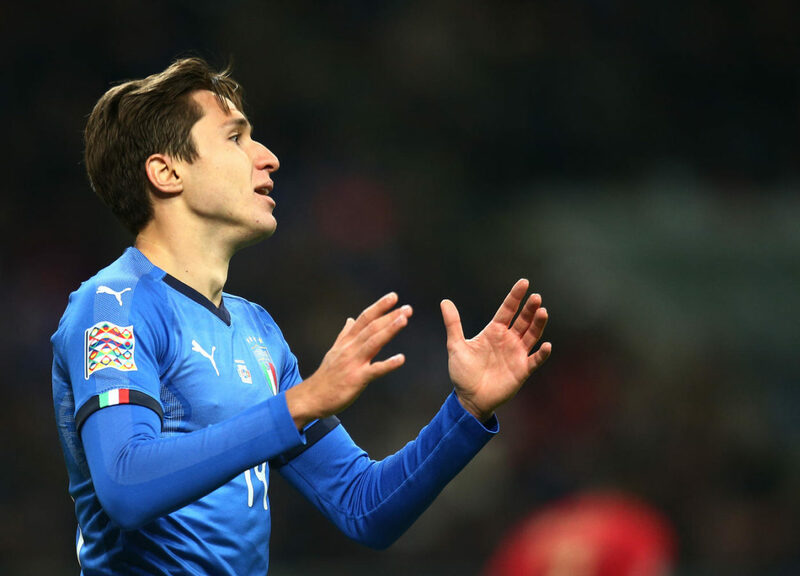 In March 2017, Chiesa was called up by Italy U21s’ boss Luigi Di Biagio to represent the Azzurrini in friendlies against Poland and Spain. 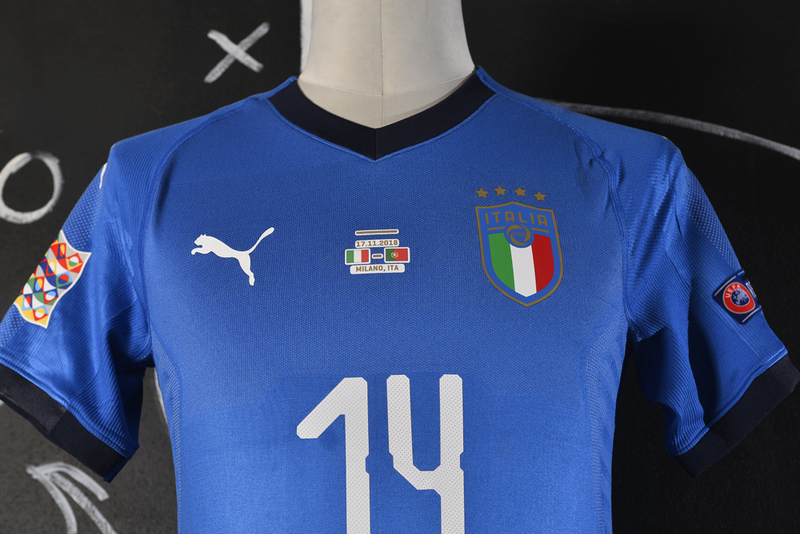 He made his debut with the Italy U21 team on 23 March 2017, in a 1–2 victory against Poland. Chiesa provided the assist to Lorenzo Pellegrini’s opener. He retained his place in the starting line-up against Spain in a 1–2 defeat at the Stadio Olimpico. 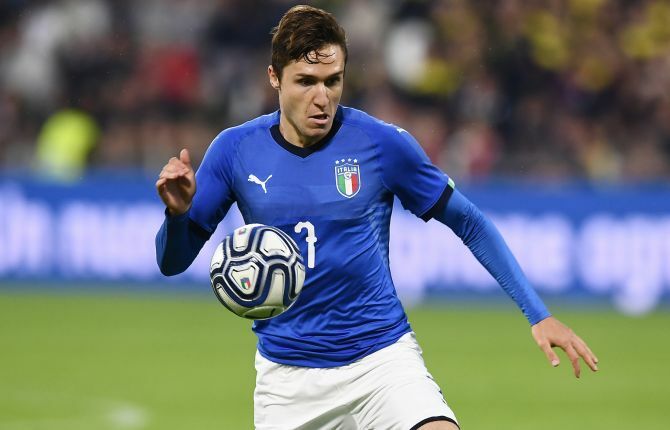 Despite only being called up to the under-21 side back in March 2017, Chiesa was selected by Italy’s senior head coach Gian Piero Ventura for the team’s unofficial friendly against San Marino in Empoli on 31 May. 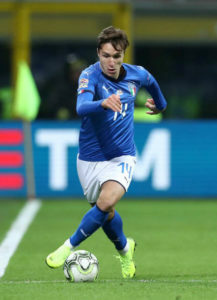 Chiesa made his unofficial senior international debut in the match, starting in Italy’s eventual 8–0 win. In June 2017, he was included in the Italy under-21 squad for the 2017 UEFA European Under-21 Championship by manager Di Biagio. 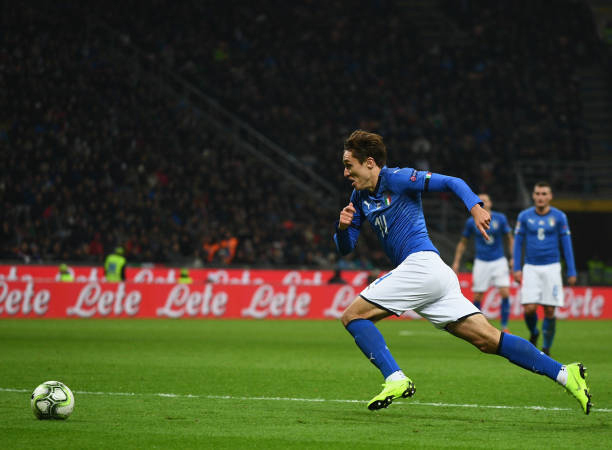 In March 2018, he was awarded his first official senior call-up to the Italian national team, under interim manager Di Biagio, for Italy’s friendlies against Argentina and England later that month. On 23 March, he made his official senior international debut in the friendly against Argentina; Italy were defeated 2–0. 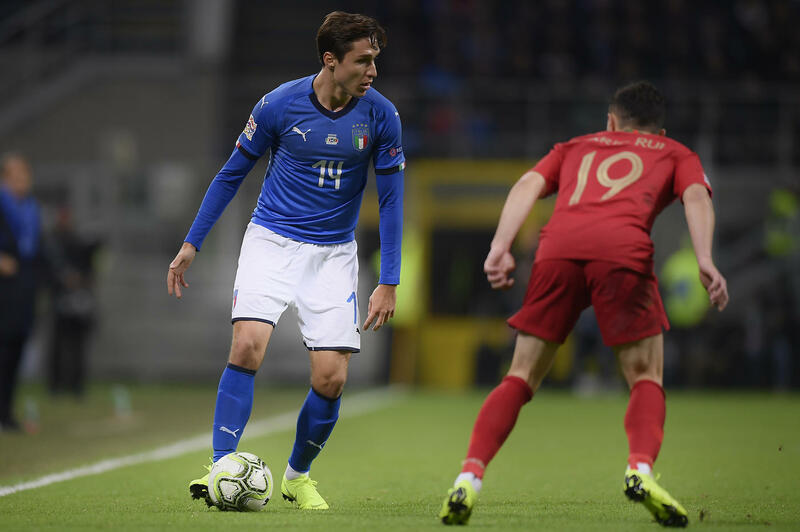 Regarded as a promising young prospect, Chiesa is a talented, fast, skillful, and hardworking player, with good technique, a short stature, and a slender build. He usually plays as a left winger, a position which enables him to beat opponents with the ball, cut into the centre, and shoot on goal from outside the area with his stronger right foot, although he is also an accurate striker of the ball with his left foot; he is also capable of creating chances for teammates as well as scoring goals himself. He is also known for his defensive contribution off the ball, and has been deployed anywhere along the front line, as well as in several midfield positions, most frequently as either an attacking or central midfielder, although he has also been used as a main or second striker on occasion. 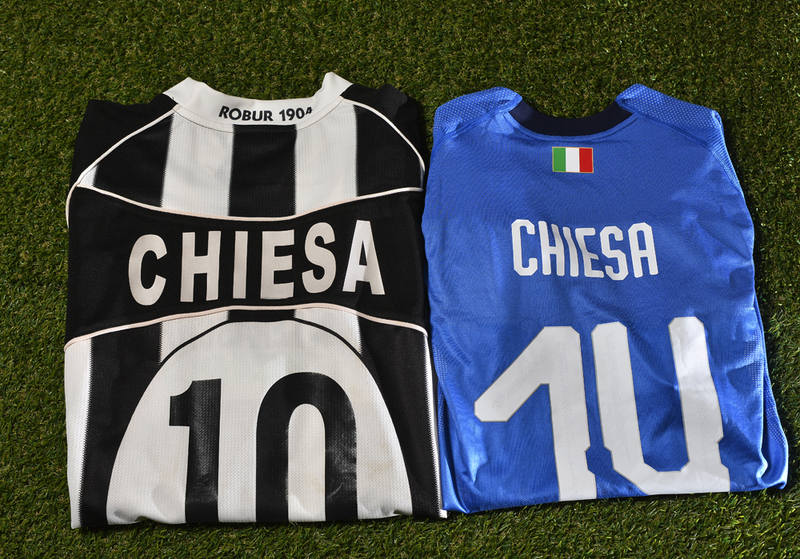 Chiesa is the son of Enrico Chiesa, a former professional footballer who played for the likes of Cremonese, Sampdoria, Parma, Fiorentina, Lazio and Siena, and represented the Italian national team. 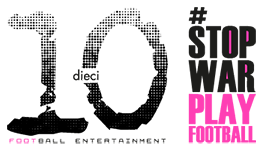 He enrolled at the International School of Florence, where he frequently took lessons in learning English. Chiesa also spent two years at university, studying Sports Science.